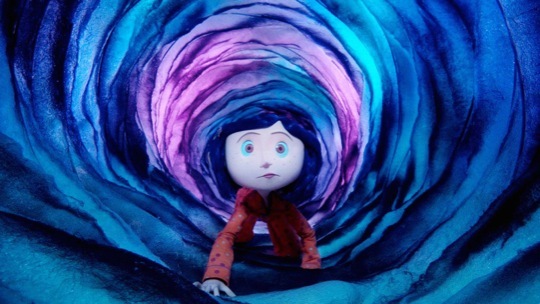 LAIKA celebrates its 10-year anniversary with a big screen revival of CORALINE plus behind-the-scenes material. Coraline Jones is feeling bored and neglected in her family's new home — until she crawls through a secret door and discovers a strange parallel reality. Everything in this world is just like her normal life, only much better! But when the button-eyed Other Mother reveals her plan to keep Coraline trapped there with her forever, delight quickly transforms into terrible danger... It'll take every bit of the young heroine's courage and resourcefulness to save her parents' lives and get them all back home again. Mark Shapiro from LAIKA will play host to this special screening, and reveal some of the amazing artistry behind the film. Don't miss this rare opportunity to meet Oregon's most famous stop-motion puppet celebrity in person! Special Discount: Kids 12 & under attend for only $5! The Northwest Animation Festival (May 9-15) showcases visionary worlds of fantasy, unforgettable stories, and outlandish oddities from around the globe. See the year's best international shorts, selected from over 1300 submissions. Explore seven special topic screenings. Participate in conversations with filmmakers. Play at late night after-parties. If you're an animation-lover, this is the must-see event of 2016! For the complete festival schedule, please visit: www.nwanimationfest.com.